Washington, D.C. — The U.S. Census Bureau and the U.S. Department of Housing and Urban Development jointly announced new residential construction statistics for March 2018. Privately owned housing units authorized by building permits in March were at a seasonally adjusted annual rate of 1,354,000. This is 2.5 percent (±1.4 percent) above the revised February rate of 1,321,000 and is 7.5 percent (±1.4 percent) above the March 2017 rate of 1,260,000. Single-family authorizations in March were at a rate of 840,000; this is 5.5 percent (±1.5 percent) below the revised February figure of 889,000. Authorizations of units in buildings with five units or more were at a rate of 473,000 in March. Privately owned housing starts in March were at a seasonally adjusted annual rate of 1,319,000. This is 1.9 percent (±12.4 percent) above the revised February estimate of 1,295,000 and is 10.9 percent (±10.0 percent) above the March 2017 rate of 1,189,000. Single-family housing starts in March were at a rate of 867,000; this is 3.7 percent (±11.8 percent) below the revised February figure of 900,000. The March rate for units in buildings with five units or more was 439,000. Privately owned housing completions in March were at a seasonally adjusted annual rate of 1,217,000. This is 5.1 percent (±16.0 percent) below the revised February estimate of 1,282,000, but is 1.9 percent (±13.4 percent) above the March 2017 rate of 1,194,000. Single-family housing completions in March were at a rate of 840,000; this is 4.7 percent (±12.3 percent) below the revised February rate of 881,000. The March rate for units in buildings with five units or more was 371,000. 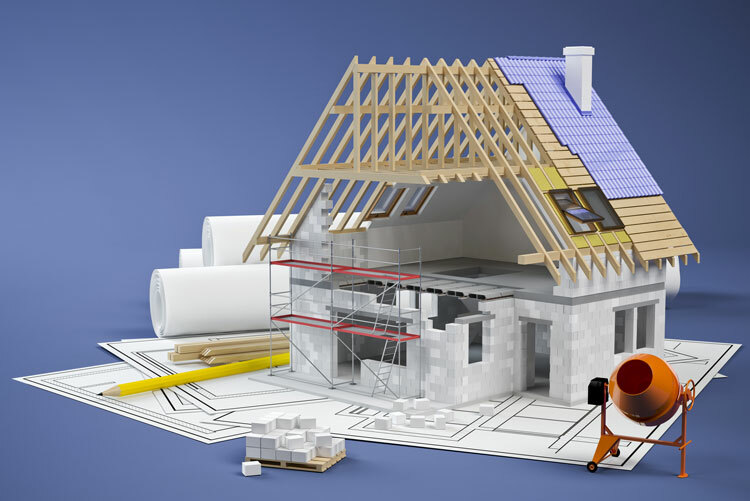 Commenting on the latest report, Scott Volling, principal, PwC, said, “Results for housing starts and permits released this morning reflect a double dose of good news. First, the disappointing February numbers for starts were revised upward almost 5 percent from 1,236,000 to 1,295,000, while permits were also revised upward almost 2 percent from 1,298,000 to 1,321,000. The upward revisions bring February results closer to original expectations after a strong January. Second, March results improved over February’s revised numbers, with starts increasing 1.9 percent to 1,319,000 while permits grew 2.5 percent to 1,354,000. Impressively, both starts and permits showed sizable gains when compared to March of last year, with starts higher by 10.9 percent and permits higher by 7.5 percent. “While March results for both starts and permits were strong, with each number being the third highest result in the last 11 years, our enthusiasm is tempered as we analyze the breakdown of single family versus multi-family,” Volling said. “It is well publicized that the residential market is facing a confluence of challenges including low inventory, constrained labor, and rising material costs, ultimately creating a growing bubble of pent up demand and affordability challenges. One way to address these challenges is through an increase in new single-family homes. For March, single family starts dropped 3.7 percent to 867,000 from last month’s revised number of 900,000, while single family permits dropped 5.5 percent to 840,000 from last month’s 889,000. We would hope to see both single-family numbers get to the point of sustained levels above 900,000 to gain confidence that inventory levels, demand and affordability were starting to be addressed.